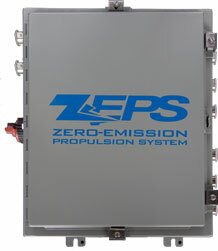 The ZEPS bus comes with a high efficiency liquid cooled motor and controller. 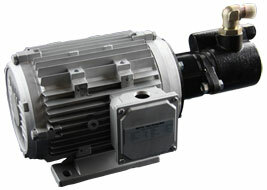 The high torque, low RPM motor is tightly integrated with a high performance motor controller. The liquid cooled system uses standard radiator coolant and maintains the system temperature within operating range despite heavy duty cycle load and external environment. Using this motor also enables us to eliminate the need for a transmission. Direct drive significantly improves the reliability and reduces the maintenance cost of the system. Overall lifecycle cost is reduced by elimination of transmission rebuild costs. A liquid cooled motor also provides higher continuous power rating which results in better acceleration and speed performance. Better regenerative braking performance vastly improves the driving range in the stop-and-go driving environment of a typical transit route. The liquid cooled motor controller provides high efficiency and better continuous power rating. The motor controller provides a programmable motor response which enables programming of regenerative braking and top speed. The enclosure is completely closed and does not need any routine maintenance. The liquid cooled system also improves the vehicle performance during peak summer days with high ambient temperatures. A key feature of the on board charger is that it requires little or no infrastructure change. This means a bus can be readily available to charge in very little time after delivery. The charger is tightly integrated to battery management system (BMS) to allow for unique top of charge balancing during every charge cycle. Cooling Air Cooled Curbside Panel. Liquid Cooled bus side electronics. 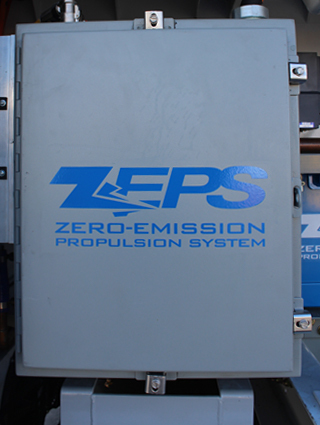 The ZEPS all-electric 3 Phase 220 air compressor comfortably exceeds FMVSS Standards. 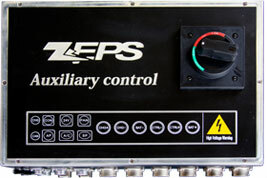 The ZEPS Auxiliary Control is tightly integrated with vehicle control and battery management. This system provides power when and where it is needed. 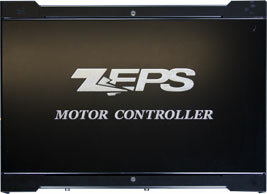 The ZEPS Contactor Box connects the unique ZEPS parallel battery packs to the charger and drive system. It features dual pole isolation that is able to completely disconnect the battery in the event of a battery system failure or during maintenance. 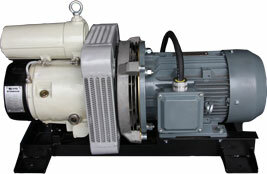 The ZEPS Power Steering Pump is 3 Phase 220 all-electric designed specifically to meet pressure flow requirements of heavy duty transit steering gear boxes. All-Electric AC Compressor – Complete Coach Works will integrate an all-electric, hermetically sealed compressor that will help support the performance spectrum that Motor Coach Industries demands.